Hey, what’s going on, everyone? Alex Branning here, thanks for joining me. I’m going to be talking about how you use marketing and automation to create an unstoppable business. You know, we’re living in a time where a lot of people are getting fat and happy right now and it’s great, we’re making a lot more money than we have been in a while, it’s easier to get business but what are we going to do so that when things start to shift and slow down, we’re able to keep going strong? That is an unstoppable business, one that continues to grow in good times and bad. So, if you have never met me before, my name is Alex Branning. I’ve been married to my wife for 12 years, we have a 10-year-old daughter, recently moved up to Redding. Before we moved, we were foster parents, which was such a blast, the President of the Branning Group, we serve over 300 clients nationwide, and we help real estate agents, just like you, create a profitable online presence, build referral systems and do what it takes to create an unstoppable business. On this training, I will show you how to create a Digital Alex, an automated piece of your business to foster growth, perform marketing tasks, streamline your business processes and maximize your time. My team manages the online marketing for real estate agents nationwide and we’ve been hired by well-known names like Chrysler, Crocs, Billabong, celebrities, we’ve worked for a lot of really cool people. I want to teach you the same strategies that I’ve executed for my biggest clients and I’m breaking it down to a step-by-step guide for you. My first outcome, for this presentation, is to give you some great ideas on how you can grow your business.I’m not going to show you any vague ideas or theories, these are strategies that I’m using for myself and my clients. I’ll be showing you real-world examples. This presentation has three sections, number one, Why Build an Online Presence? Number two, How to Use Social Media to Connect with Prospects, Capture Leads and Build an Unstoppable Business. And then number three, I have Four Big Ideas for You To Take Action On, so make sure you have a pen and paper for that one, it’s really good, a lot of action-packed ideas. My second outcome for this presentation is to give you an opportunity to enter into a mentoring relationship where I can help you implement these strategies together.As the economy changes and the way business is done continues to shift, there’s going to be the haves and the have-nots. This is not new, you’ve seen this happening already. I am going to be training you in a whole new way of business on this webinar. Not only will you learn how all of this works, but you’ll be launching your own digital platform and be able to confidently execute these ideas. I want you to ask yourself, what is it costing me to not have a business that’s using the latest tools and strategies? How much money am I leaving on the table every month? I want to share an example of how quickly things move. Think back 10 years ago. The iPhone 1 had just been released, now we have the iPhone, like, XR, like they have released a bunch of new ones out there, but check this out. How many of us check our phone 10 times a day? How many of us check our phones every hour, right? I mean, phones have literally, completely changed the marketing landscape. And over 80% of us browse the internet from a mobile device, but I’m betting that you do not have a strategy in place to reach your prospects or past clients on their phone. On this webinar, I’m going to share how you can capture their attention on any device and use automation to move them up your sales mountain. Now let’s do a fun exercise. I want you to hold your right hand out in a fist. That’s a cone. That’s what you are doing right now that’s working, okay? Now hold your left hand on top of your right hand. That’s ice cream. When you combine the ice cream and the cone, you get an ice cream cone. Now look, there are some things that you’re doing that are working really well. I want you to keep doing those things. I’m not asking you to completely change your business, I’m asking you to consider some new ideas so that you and I could work together on implementing these ideas, so that you can grow your business. Now, technology is the great multiplier of your time and I want to show you some examples of that. Number one, let’s talk about email. If you have an email list of only 100 prospects and you email them twice a month, you’re performing 2,400 marketing touches a year. Now, most of you plan on being in business at least 10 or more years, so that’s an additional 24,000 marketing touches to grow your business. That’s crazy! Now if you grow your list to a thousand people and you email once a week, that’s 52,000 marketing touches a year and 520,000 for the next 10 years. Let’s look at live video. Check this out, if you go live on Facebook every week and get a hundred viewers per video. You’re performing 5,200 marking touches a year or 52,000 over 10. If we up your views from 100 views to 1,000, you’ll reach 52,000 per year just doing live video. Example number three, if you have a social media audience of a 100 people and you’re posting great content every day, you’re performing 36,500 marketing touches a year. That’s 365,000 over 10. And the numbers are crazy but if we increase your daily audience on social media to a thousand people, you’ll be performing 365,000 touches a year. That’s why I say there’s simply no way to compete. I mean, do you see the power in these strategies? If you spend 10 to 15 minutes a day performing profitable online activities, that’s the equivalent of spending two to three hours on offline activities. And you have to pivot. We’re in this time right now where everything is about to dramatically change. You can see it, you see it with Zillow, with Red Fan, all of these automated tools, new platforms, et cetera, things are changing. I want to share this story of two sales trainers. One made the pivot to use technology, and one of them did not. Eric Lofholm, my personal sales trainer, started his business in 2004. Ryan Stewman, same business but he started eight years later, 2012. Eric had eight years to establish himself online before Ryan ever started his business. Today Eric has an online following of 50,000 people. His business is doing well. But Ryan is up to 300,000 plus. His business dwarfs Eric in revenue, followers, and growth. Now why? How did this happen? Look, Eric did not take his online presence very seriously until the past few years. He’ll admit that, he wasn’t very active. Ryan only focused on growing his business online.Eric focused on what was working for him, speeches, events, and other offline activities. Ryan focused on sales funnels, online advertising, and creating courses one right after the other. It was constant production. Eric’s business continued to grow but Ryan leap-frogged Eric’s business in a matter of three years, and continues to grow rapidly. The difference is that Ryan embraced technology and Eric did not. Don’t make the same mistake. You don’t have to get left behind, but if you don’t leverage technology, you’re going to lose ground to your competition. There’s two ways to look at this story. There’s the Eric who’s been in business for a long time and then there’s Ryan who is the up and comer and just blew past Eric. It’s never too late to embrace technology and start using the tools you have available. I learned a lot of this stuff when I was 31, 32 years old. I have another 30 years ahead of me for my career. I will be able to use this knowledge and these tools for the rest of my life. Here’s the success concept to your predictable future. You have a path that you’re following right now and you can accurately predict the growth of your business if you don’t make any changes. When you implement these exponential growth strategies, you’re creating a new and better future for yourself that you can enjoy now and every year that you continue working. If you have 10 or 20 years ahead of you in your career, these ideas will be worth hundreds of thousands if not millions of dollars to you. Once you learn a technology, then your brain will figure out ways to use it. Once you get live video, you’re going to come up with all new ways to use it. 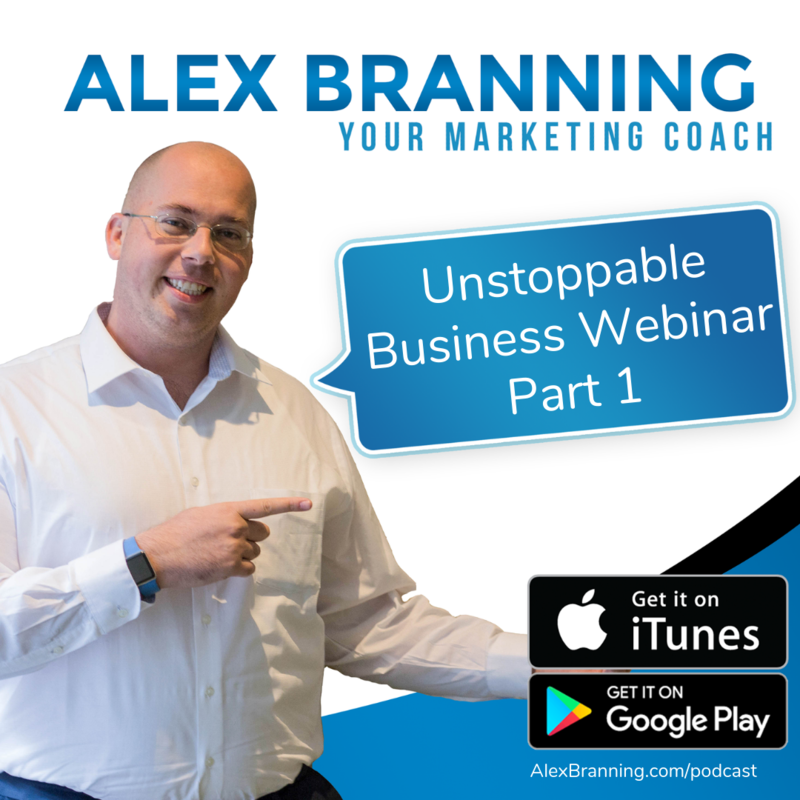 Once you understand the power of an email list, you’re going to get creative and figure out new ways that you can leverage that. Once you get over the hump, whatever that resistance is, you’ll be able to leverage that technology for the rest of your career. Now marketing plus automation equals an unstoppable business. There are three growth areas that the Digital Alex can give you an immediate impact on. Number one, lead generation. A constant flow of new and qualified leads. Number two, appointment setting. A lead should be able to set appointments on your calendar. And then number three, referrals. You have to make it easy for your support network to take action. Lead generation has never been easier than it is today. The technology just keeps getting better. And it will only get more expensive as more people use the tools we have available. Now is the perfect time to leverage the technology and low cost of advertising to build your list, position yourself as an authority figure and set yourself up for massive success down the road. Now, why bother setting up automation? I want to dive into this before the next section. Automation eliminates human error, removes all manual labor, and gives instantaneous results.I want to share some marketing and automation combinations that will help to grow your business. In these examples, I reference Zapier. It’s an online tool that allows many different tools to talk to each other. Here’s some examples. Here’s me. I have a Facebook lead ad which is pictured there on the right-hand side. When somebody fills in that form, Zapier receives their information. They’re added to my email list and an email is sent to me with client info right away without me having to do anything. An email and a text is sent to the prospect who filled it out, and they’re added to my CRM. Boom! It makes it so easy. Let me show you Chris. Check this out. He’s running a giveaway funnel. This paid ad is only shown to ideal clients on Facebook. He’s showing this to married parents because that’s who he has found has the best retention rate for him. So, the prospect enters in to win the price for the Outback gift card, he’s only giving away one. He collects their name, email, and phone number. An email and a text message is sent to Chris right away. The prospect is sent an email confirmation. The prospect is then added to Chris’ email database so that Chris can email them later and the auto-responder, it sends that prospect six emails and a text over the next two weeks telling them a little bit more about Chris, the opportunities that he has and a little bit more about his product. Really powerful, all automated. He’s getting appointments that are set up with people that love to talk to him. Check this one out. This is Tim Eng. Tim used a Facebook lead ad. Zapier received the contact info. Every single prospect was added to Tim’s email list and an email was sent to Tim with the client info. An email and text was also sent to the prospect. Tim got 72 leads on Facebook in September so far. He still has half of the month to go. It’s amazing. Dean, Dean has a Facebook lead ad. He’s looking for distressed homeowners. Now, Zapier receives the contact info. They’re added to his email list. An email is sent to Dean right away. An email is sent to the prospect. 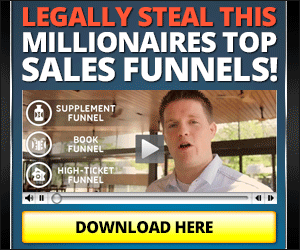 So, these are very highly qualified leads. If he closes this, tens of thousands of dollars of revenue could be generated for him being able to get a homeowner out of a distressed home. Last but not least, let’s talk about my friend Tim Marquez here. He is a very successful Solar sales person. He’s using marketing and automation to build his referral base. Check this out. So here’s his strategy. First, he starts by sending an email to his entire database with an offer to join his referral team. The bonuses are paid out if the referrer signs up for solar. So, if I joined his referral team and then I refer him to my friend David and David signed up, then I would get paid a bonus. So that’s what he’s setting up here. Now, so a person could go to the landing page. That landing page has a short video explaining the referral team and a form so they can sign up to join the referral team. It’s free for them to sign up so that they can get paid bonuses if they send Tim referrals. The new referral partner is added to his specific email list setup just for this. An email and text is sent to the new referral partner. So far, Tim has 51 people on his referral team. It’s having a huge impact on his sales because he’s able to send emails just to that referral team with exactly who he’s looking for so that they can help him and send him qualified leads. When you set up a digital platform for your business, you’re putting yourself in a position to win. Now, that is the end for this section. When we continue, I’m going to go over social media growth strategies. We’re diving in to social media and if I did not go over the marketing and automation stuff that I did, I would be doing you a disservice. It is so important to set yourself up to be able to handle all of the leads that I’m going to show you how to get. If you did not have automation, it would’ve been a struggle. You would’ve been overwhelmed.